New Delhi: India is fully prepared to deal with any fallout of the US sanctions on Iran and has made necessary provisions for every possible scenario, says a top government adviser. Sanjeev Sanyal, the Finance Ministry's Principal Economic Adviser, told IANS in an interview that while the economy was gathering pace, there were several external factors which were a concern — including the US-China trade war, tightening of US monetary policy and rising oil prices, apart from the trade sanctions on Iran. "We have already weighed our options... various scenarios have been thought about and in each one, certain series of sequences have been planned. Provisions have somewhat been made where necessary. In many cases, you just have to do it when it happens. The key is to react fast. "So rather than predispose ourselves to a particular line of response, what we can do is have a whole bunch of options and then as things evolve, we know which option to take. The point is to maintain optionality rather than pre-commit to a certain sequence," Sanyal said. Last month, the Trump administration reimposed the first batch of Iran sanctions since Washington withdrew from the 2015 nuclear deal, with sanctions on oil sales coming into force from November. Sanctions against Iran are not the only external factor which is a concern for the Indian economy. 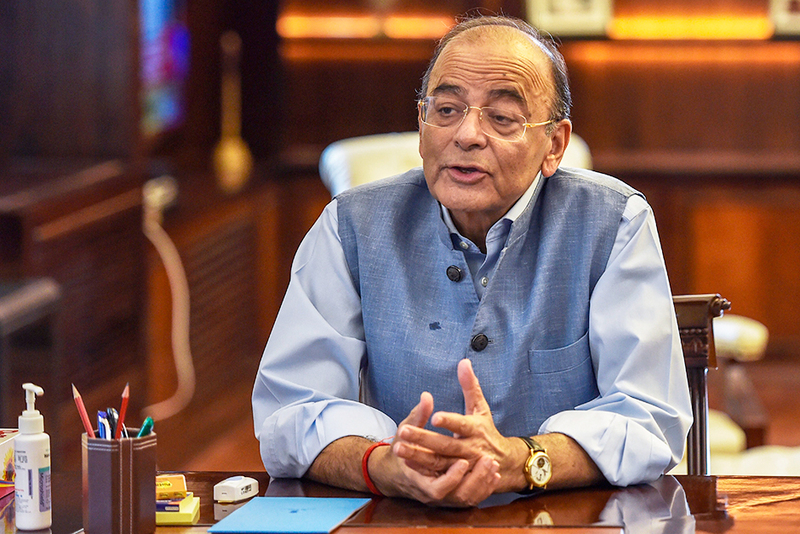 Finance Minister Arun Jaitley, in his first address after resuming office after a long absence due to his kidney transplant, had also said that the challenges to the Indian economy were mainly from external factors such as rising oil prices and the US-China trade war. Sanyal agreed and said: "There is the trade war looming. We have oil prices which we need to look out for. And the US is tightening its monetary policy. These are not new concerns; they have been building up for some weeks now, if not months. But these are concerns that will have an impact on us." He said while the impact of these events is "non-quantifiable", the best option for India is to "watch carefully what happens, how systems evolve and to respond quickly to protect national interests". "The point is that since we don't know how the trade war and many of these things will pan out, or oil prices for that matter, so we will have to wait," Sanyal said. On domestic concerns, the economist said while all evidence showed that the economy was gathering pace, it was important to maintain that momentum. He said the government's focus was to clean up the banking system, ensure credit flow to micro, small and medium enterprises (MSMEs) and simplify the GST.